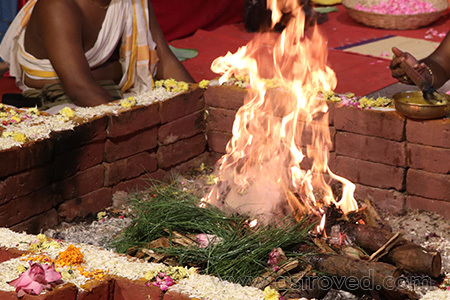 This homa (Fire Lab) is performed in honor of the divine couple Goddess Lakshmi and Lord Narayana (Lord Vishnu) who together symbolize wealth and prosperity. The harmony of this union confers a special status for the Fire Lab which can multiply your material and spiritual blessing. Take advantage of the opportunity to reach out to the divine couple who can shower you with their abundant bounty and enjoy material wealth and prosperity. Perceive a marked shift in your fiscal fortunes and achieve financial stability while getting rid of hardships which hamper your progress. 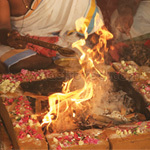 The Fire Lab dedicated to Goddess Lakshmi and Lord Narayana (Vishnu) is a unique phenomenon which channels the energy of both celestial beings, enriching your life with its vitality. The Goddess of wealth can confer prosperity, material abundance, good luck, harmony and spiritual prosperity, while Lord Narayana protects the riches and safeguards them against unforeseen financial pitfalls. 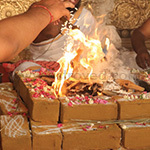 Witness unprecedented wealth and abundance come your way and fulfill your every need when you perform this ceremony. Why the Lakshmi Narayana Homa? The Lakshmi Narayana Fire Lab is performed with great reverence and due respect to the deities, amplifying the intensity of the procedure. You get to experience the positive vibrations in your mind, body and soul due to the mantras uttered in the ritual. It is highly recommended to perform this ritual once a year to derive maximum benefits and take full advantage of the occasion. 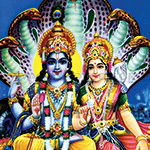 Overcome debts, achieve monetary security, resolve relationship issues and forge new ties with people who count in your life by connecting with archetype Lakshmi Narayana. This homa Lakshmi Narayana homa (Fire Lab) performed for 3 months, once a month, can help you invoke material wealth and abundance. 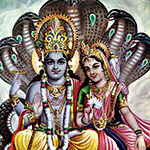 Invoking Goddess Lakshmi and her consort Lord Vishnu (Narayana) can bestow wealth and prosperity blessings. Performing this homa can help with overcoming debts, financial difficulties and relationship issues. This homa Lakshmi Narayana homa (Fire Lab) performed for 6 months, once a month, can help you invoke material wealth and abundance. Invoking Goddess Lakshmi and her consort Lord Vishnu (Narayana) can bestow wealth and prosperity blessings. Performing this homa can help with overcoming debts, financial difficulties and relationship issues. This homa Lakshmi Narayana homa (Fire Lab) performed for 12 months, once a month, can help you invoke material wealth and abundance. 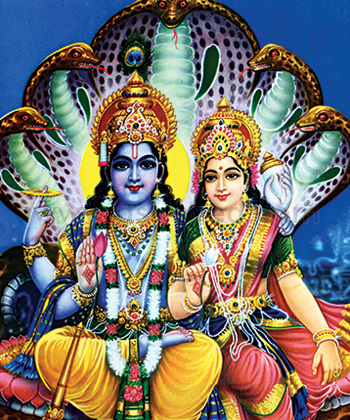 Invoking Goddess Lakshmi and her consort Lord Vishnu (Narayana) can bestow wealth and prosperity blessings. Performing this homa can help with overcoming debts, financial difficulties and relationship issues.